Would zoning more land in Dublin and its surrounding areas solve the scarcity of housing and start house building at a rate that would actually meet the demand requirements in the region? While this is a question best posed and answered by the economists and politicians, here are a few points you need to know if you are considering submitting a zoning or a rezoning application to a local authority. Firstly, most county development plans are under review and submissions are being sought through local authorities formal submission processes. Secondly, you will need to consider your position as a lobbyist if you are approaching a local authority for the purposes of zoning development land. Making submissions as part of the public consultation process is not considered lobbying however approaching a designated public official about rezoning or zoning outside of the formal consultation process may be considered lobbying. Communications with a designated public official about a planning application which may affect or alter the local authority's development policy may be considered lobbying. If you are considering any of these matters, you will need to register as a lobbyist under the 2015 Act. The site 'cost' regularly quoted for the outer Dublin suburbs equates to half-a-million, in cases a million euro, per acre. This is not a consequence of scarcity, it is a consequence of policy. There is no shortage of land, there is a shortage of zoned and serviced land. 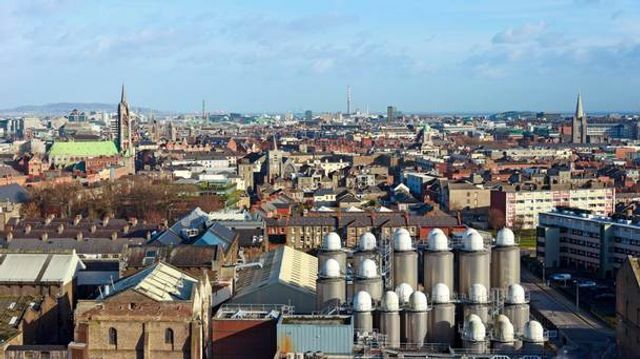 There is no point complaining about developers around Dublin, currently in possession of the few sites suited for early construction, if they hang on for the right price. Nor is there much point to an undeveloped site tax. The answer is to create a shiver of fear that the sites to the north, south, east and west, currently zoned for agriculture or "amenity", will shortly be zoned for residential use.